Do you have a chewing mad dog? PIA’s, Nadia Crighton takes a look at what the top dog chew toys for our chewing canines are. Some dogs just love to chew… shoes, chairs, wood-boxes, kids’ school bags, and even underwear! Some are hard chewers – the ones who love to munch on chair legs. While others prefer the soft comfort of kids’ snuggle toys or the sole of a rubber shoe. The best way to stop a problem chewer is to give them something suitable to chomp on. Once you have deciphered which type of chewer your dog is, then you can see what dog chew toy is best for you. • Chewing these bones can help prevent periodontal disease in dogs by helping to remove plaque and tartar build up. More on Pet Dental Care. • Some include natural breath freshening extracts, meaning a healthier and fresher dog mouth. • Can stop problematic chewing. • Teaches puppies the right thing to chew on (instead of your shoes). 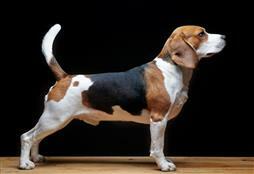 • Ropes – these are also great for your dog’s teeth and can act like dental floss. When choosing toys for your dog it is important to always purchase the correct size. If buying for a puppy, ensure you throw out the toys as your dog grows. A puppy-sized ball or toy for a large dog can be a dangerous choking hazard. • Inspect dog toys weekly and throw out any damaged toys. Ingested rubber can cause huge problems, particularly if it gets stuck! Remember that your vet will not be able to see rubber on an x-ray. • Don’t let your dog chew on tennis balls. These are commonly extracted from dog’s stomachs. They are not suitable for chewers, so once you have finished your game of fetch, pop the ball away. • Discourage your dog from chewing on sticks as these can cause puncture wounds and splintering. If your dog is stick mad consider purchasing a rubber stick. These are great to throw and are super-safe. • To get the best life out of your dog’s toys consider rotating them daily. Have dog toys for when you are not at home, when you are home, or when interacting with your canine companion. 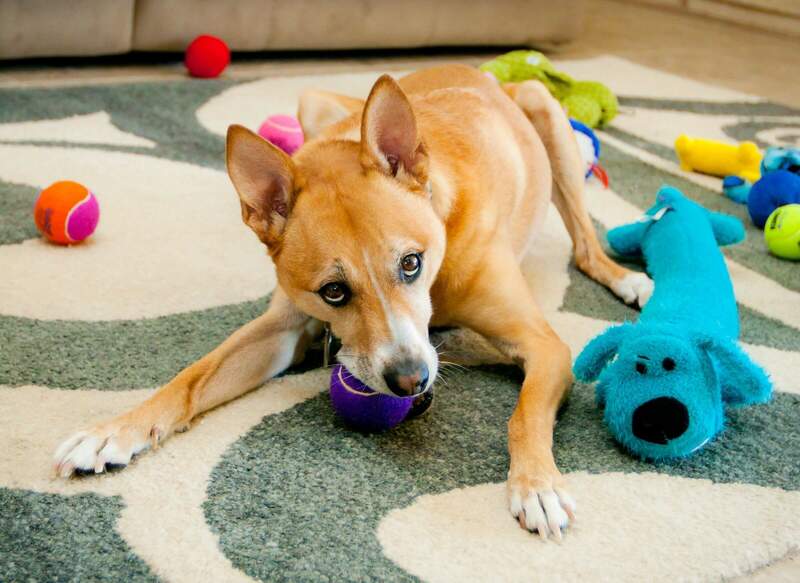 You’ll be surprised how much-extended playtime your dog will have from one dog toy.